Please I have been offered admission to Unilorin..but it’s saying not admitted now. What’s happening? jamb caps sent me a text message that i have been offered admission, but when i login to my jamb profile there was no admission. what should i do. Comment Text*when wil fedpoly ado ekiti start their registration for jambite? 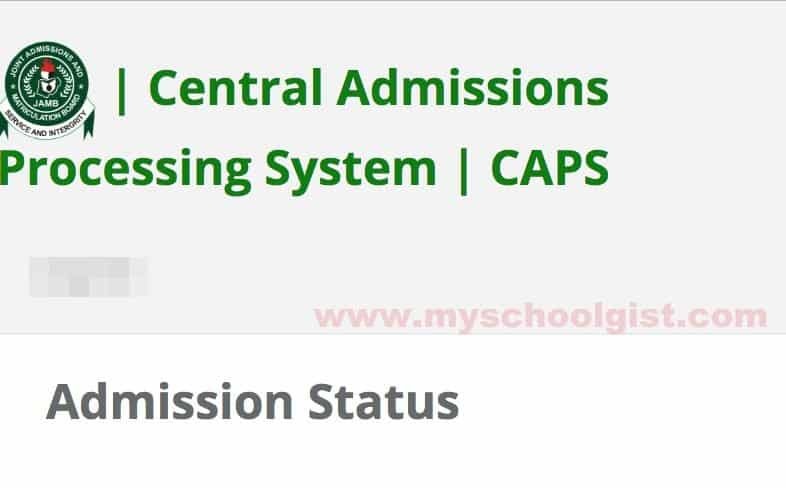 I was offered admission for almost two weeks now from my choosing institution but anytime i tried to check caps it will be showing me not admitted,please what is happening? I can’t find caps on my dash board…. Pls mine is Nasarawa state university and is showing me no admission is given yet. Pls is there any hope for me? Please i just wanna ask dis question; if one mistakenly click the “reject” button instead of the “accept” button is there a manipulative way to click the “accept” button or does it mean that the admission is forfeited. IT MEANS YOU HAVE REJECTED THE OFFER. I have been offered admission by Madonna University, i can neither accept nor reject the offer on CAP. The accept and reject buttons are not enabled. Admission status is still showing not admitted. Same here for me. Have u rectified urs? Comment Text*Please how do I reject my admission on caps? Jamb change my course from microbiology to zoology and yet it shows NOT ADMITTED. Comment Text*when the admission should be available online? i sitted for umyu second batch post utme,,, the school have released their 1st batch admission and l don’t know how to check mine…. jamb no: 86556180hc….. pls l need you people epppp oooo…. jst wanna know may be l have offer provisional admission from d skull…..
please my schoolgist do I still have to register my email with Jamb for me to be able to check my admission status on their portal ? Likewise i checked mine, it’s showing me thaSORRY ADMISSION NOT YET GIVEN please what should i do?